Our pegboard displays are looking lovely in their new white coats of paint. All ready for another day of trading at Old Spitalfields Market tomorrow. 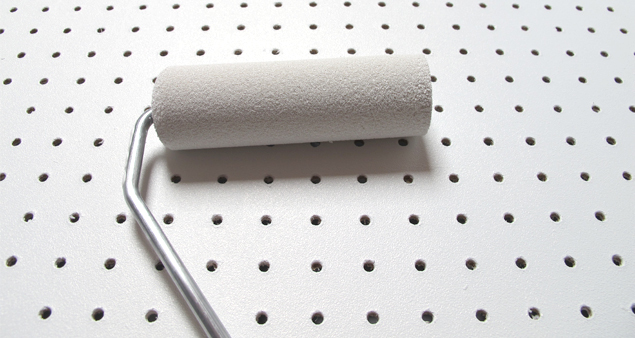 Pegboard is very pleasing in it’s combining of practicality and pattern. Our boards are going to look rather fetching with the red-tipped chrome hooks we have chosen. Come by to see us at the market if you are in East London. This entry was posted in French & Godbold and tagged market, work in progress. Bookmark the permalink.